With thanks to IAB’s Mobile Steering Group – in particular Blis, Factual, Google, MediaCom, Oath, Verve, and Weve – for putting their views forward, this article highlights where location data started, what has changed over the years, and what the future looks like. When did location data first start forming part of mobile campaigns, and how was it initially collected and used? Location-based advertising has been around since the early 2000s with SMS messaging using cell tower triangulation to target based on which city someone was in. Arguably, though, the real growth point happened when mobile ad networks started collaborating with publishers, who were receiving basic location data signals, and began making location a data point that advertisers could use to target against. The ability to define someone in the immediate vicinity of a designated area, and send them a bespoke message was something easily understood, and therefore utilised, by bricks and mortar businesses. The method used was, and in some instances still is, called geofencing, though its scale was limited because it relied on a select few partners, like weather and travel apps, with SDKs embedded within. More sophisticated uses of location data became possible when programmatic shifted over to the mobile industry. SSPs and exchanges made it possible for partners who did not have their own SDKs to access more granular location data from the bidstream which, in turn, increased the amount of data available and the amount of campaigns powered by location data. What has changed over the last five years that has caused for such a boom in advertisers using location data? The advancements in GPS satellite positioning, and wi-fi have gone a long way to solve the accuracy issues that had previously hindered location-based technology. Location smart SDKs, embedded into publisher apps, have transformed the way in which location data is obtained. It has allowed brands to extract pure, first party, data giving them access to the most accurate form of location data. These advancements in accuracy have helped shift the conversation about location from audience buying to it now being talked about, and used, as a powerful planning tool. The location signals your device send say a lot about your behaviours and interests. Understanding a user’s behaviour based on the places they have been and routines they follow can be far more valuable to a brand than simply their online behaviour alone, helping advertisers move away from predefined demographic targeting and deliver relevant messages to audiences they know much more about. What does the future of location-based advertising look like? The future of location is about combining the online and offline worlds to create more personalised advertising and experiential moments for consumers. As location data continues to accumulate, its uses will diversify to incorporate the planning and execution of other forms of media (such as DOOH) as well as non-media use cases, like town planning. The accuracy of location data will also continue to improve, and whilst the GDPR may have a short-term impact on the amount location data available, in the long term it could improve accuracy if consumers choose to opt-in for their data to be used for personalised advertising purposes. On top of accuracy, trust and transparency in the location space is becoming of ever-growing importance. 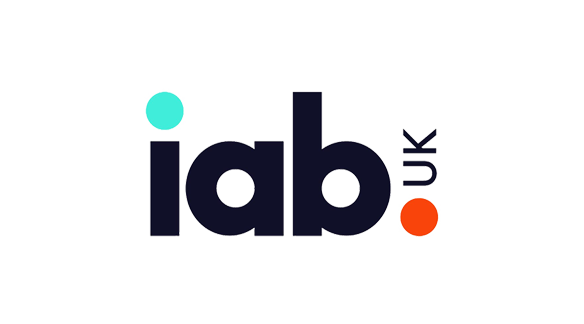 The new push in the wider industry for transparency, highlighted by the IAB’s Gold Standard, shows just how seriously the industry is taking the issue. Although a bit of a buzzword at the moment, the potential for new technologies like blockchain, and developments in AI, will allow advertisers to start buying location data directly from the source. This will increase efficiencies and increase transparency. The long-term future of location-based advertising looks incredibly bright. Digital advertising is undoubtedly the smartest way to reach and wow people and when location data is used effectively there really is no better way to find the right person, in the right place, at the right time with your message. The industry views in this article have been collated by the IAB’s Industry Initiatives Executive, Jonathan Markwell, on behalf of the IAB Mobile Steering Group, exclusively for Mobile Marketing Magazine.